Tampa, Fla. – Sept. 11, 2018 – Florida Orthopaedic Institute (FOI) is proud to announce its Athlete of the Week award winners for the week ending September 14, 2018. 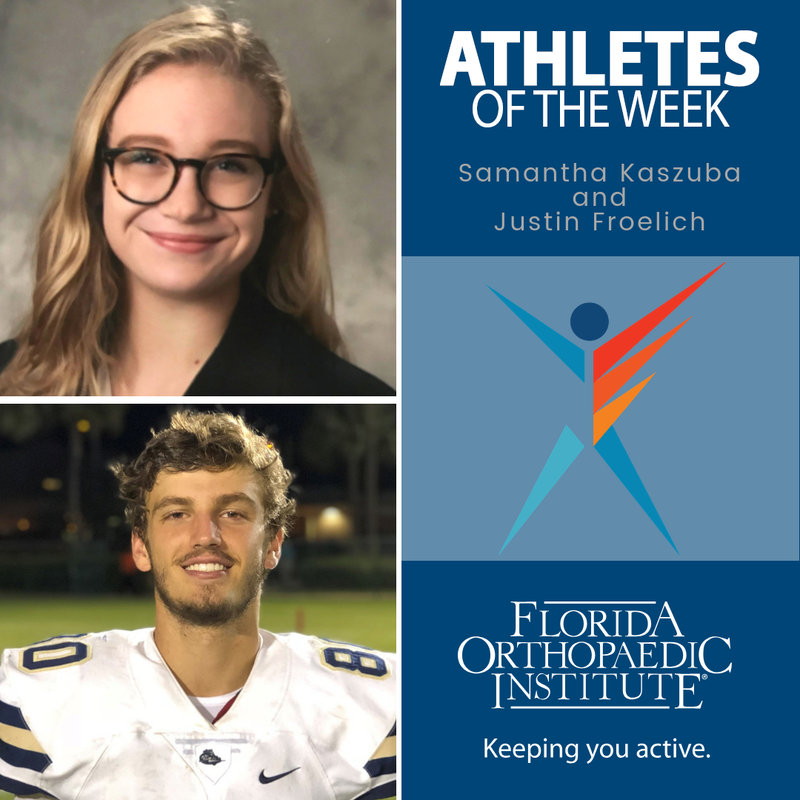 This week’s winners are Justin Froelich, senior football athlete, and Samantha Kaszuba, senior volleyball athlete, both from Cambridge Christian School. Froelich earned the Athlete of the Week – Team Player Award; Kaszuba is the recipient of the Athlete of the Week – Leadership Award. Both Froelich and Kaszuba earned high praise from their Athletic Director at Cambridge Christian School. “Samantha has done an excellent job this season. She is stepping up as a leader in her senior year and doing a great job representing our program both on and off the court. She’s taking five AP classes and still makes time to excel in her sport”, stated Butler.